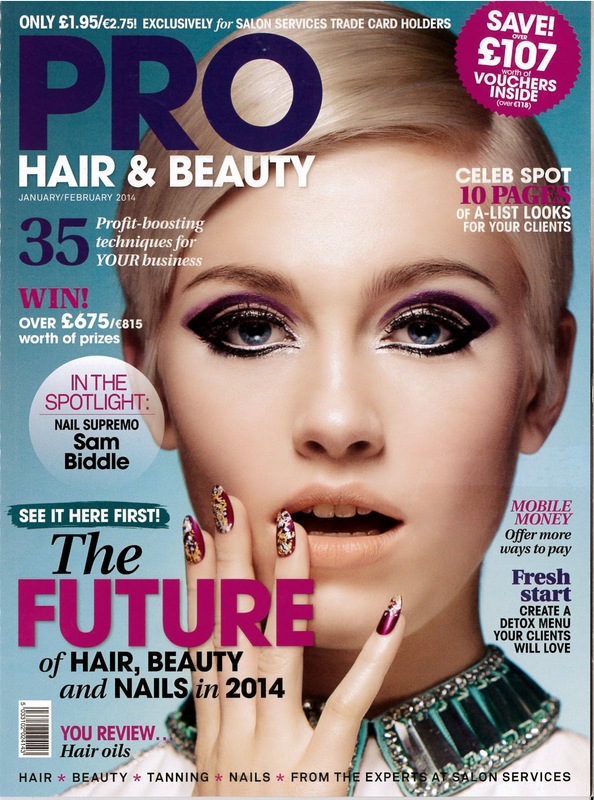 The latest issue of PRO Hair & Beauty came out just before the start of the New Year and is packed with hair, nail and beauty advice. It's really a great read, and I was thrilled to be asked to help with this issue. 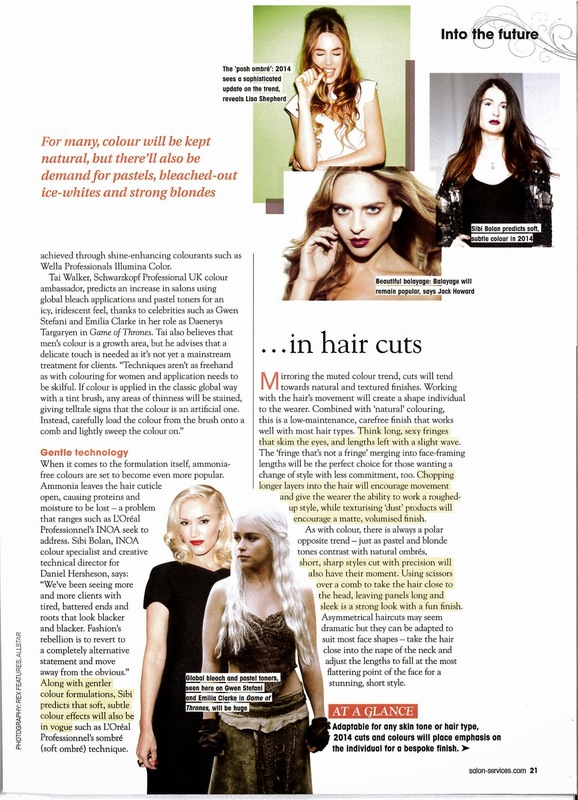 My piece discussed trend predictions for 2014 with some of the hair industries finest helping give readers advice on how they and clients will be wearing their hair this year. From colours to cuts, all aspects covered. 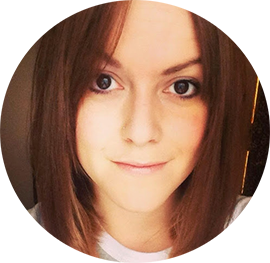 If you love finding out about the latest products, getting hints from top stylists and generally a whole heap of great information then I'd definitely recommend PRO Hair & Beauty - not just saying that because I'm in it! 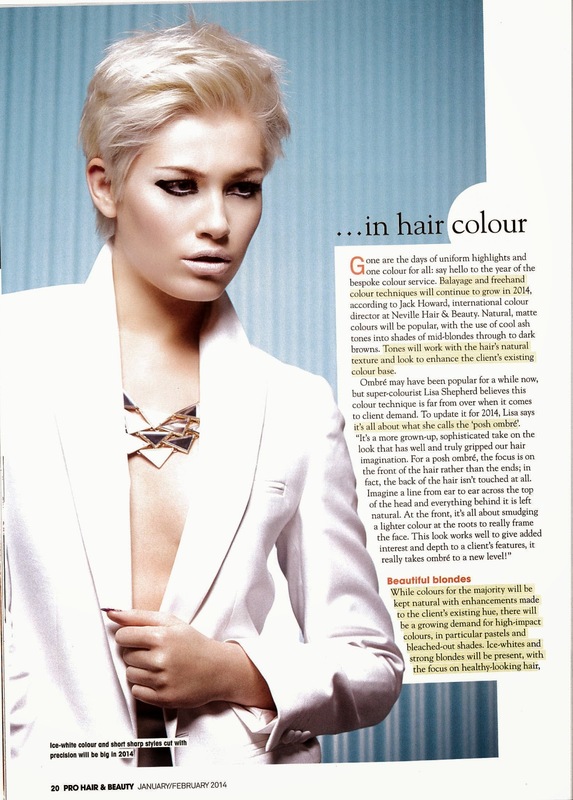 You can get your copy online, or by popping into your local Salons Services shop.